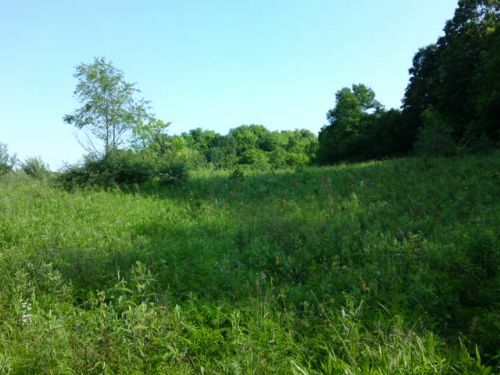 5.45 acre building lot located north of Sharpsburg in Athens county. Nice setting with no neighbors and less than a mile from the 327 acre Gifford State Forest For additional hunting. The open front acre and a half of the tract is a perfect home/cabin site with level access from the road, or build back in the 4 acres of woods. There are no restrictions. AEP power is available at the road. On site well and septic systems would be required. Property is marked for reference only. Mineral rights have been reserved. Annual RE taxes are .